NY MED (Forest Hills) - Book Appointment Online! 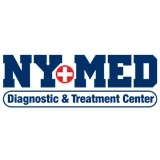 NY Med is a Article 28 Diagnostic & Treatment Center Located at 69-15 Austin Street in Forest Hills, NY. Our Specialties include Internal Medicine, Neurology, Pain Management, Physical Medicine & Rehabilitation, and Physical Therapy. Our highly trained Medical Staff is here to help. We are committed to help our community with your healthcare needs. We accept many major health care insurances including United, Oxford, Medicare, Medicaid, GHI, No-Fault, Workers Compensation & More. I really like this doctor. Knowledgeable, seem genuine. Help me right away with my pain. And started me on physical theraphy right away.